As part of our commitment to showcase the work of accomplished textile artists, we are pleased to feature a piece by Ruth Lee. 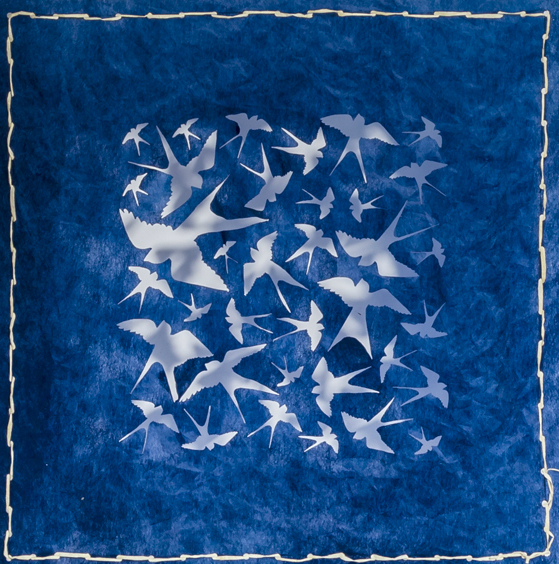 Ruth was inspired to create this exceptional example of textile art after observing migrating birds. The swallows have been laser cut from Zeelon Heavy, which has been dyed a beautiful royal blue. 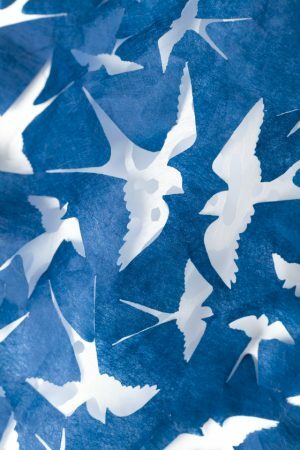 The blue Zeelon has then been layered over a white background to create a three-dimensional effect, emphasising the free flight of the birds over the ever-changing landscape.